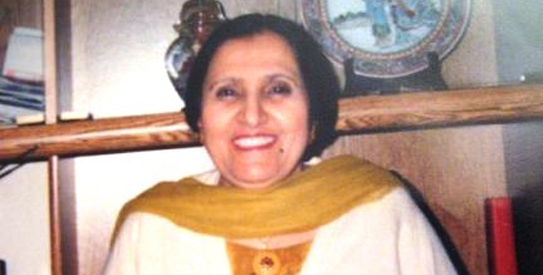 My mother, Farkhunda Jabeen with her heart warming smile. We love dividing people into slots....on every possible pretext. And one of the pretexts is age. So it's infancy, childhood, pre-teens, teens, youth.....and from there on wards, we are downhill, or so we are made to believe. And as we hit the 60s, we are given that dreaded label - "old". Elderly people, culturally, are respected and honoured, but often not treated as normal individuals anymore. We put them on a pedestal, and expect them to do nothing but beg forgiveness from God in a corner of the house. What needs to be understood is that, yes, busy days have left elderly people a while ago. They are losing their sight and hearing and memory.....but most importantly, they start losing a sense of purpose and a sense of inclusiveness into the normal spheres of life. Society needs to realise that an inclusive attitude is what elderly people need the most. Activities that make them feel normal and attitudes that make them feel alive would make a huge difference. I probably would never have understood this till I witnessed my parents in old age. With that came my mother's dementia, and people's lack of understanding of it. Today is the International Day of Older Persons. And today, this is the daughter of an older person baring her heart. My mom.....well.....what should I say but say that she forgets. And that she is not quite the person she used to be. It started in her early 50s....maybe earlier......but that is my earliest memory of it. Sometimes when I forget stuff expectedly as a result of juggling too many things in my mind perhaps, my daughter gives me a worried and intense look. She fears for me that I may have inherited the condition from my mother and my grandmother. Me and my siblings all secretly fear it for ourselves, we confess to each other in our "blood meetings" (where we hang out, once every six months at least, sans spouses or anyone else). It's funny how we don't really fear inheriting my dad's heart condition or my mother's arthritis. What we fear most is inheriting her forgetfulness, which basically became full-blown and stared at us in the face after we lost our father and her companion of more than 5 decades. It accelerated at an unbelievable pace after my father left us. It seemed my mother had held back letting her memory slide downhill. She did not recognise life without him I guess. He was her friend, guide, confidante, the love of her life, the pivot of her existence. Two people, almost antonyms of each other, had one of the most beautiful companionships I have witnessed in my life. Once he was gone, she perhaps felt letting go of her memory was the best option......this would leave her in the long-gone past......retrograde amnesia. The present or recent past she was not so interested in. My mother may have dementia but she remembers and knows enough to know when someone is warm to her and when not. Does she have simple dementia, as she is now 70 plus? Is it an effect of "mini-strokes" as her geriatric doctor suspects? Or is it Alzheimer's? And if it is Alzheimer's, is it SDAT (Senile Dementia - Alzheimer's Type). I don't really know the exact answer, because by the time it was discovered, the doctors felt there was hardly anything that could be done about it, and so invasive testing was avoided. Fancy terms don't really matter to us. All we know is that it has not been easy. It has not been easy to see my vivacious, extroverted, friendly mother stare at an object for hours. It has been one of the toughest things to see my mother struggling for words that define simple objects……my mother who remembered Urdu and Farsi (Persian) poetry with a passion and would quote the greats often. Whenever I write well, if I do, I know it is because she emphasised so much on my reading habits and writing style. Ammi had the most beautiful handwriting. Today, when for any emergent documentation she has to sign, it takes her 10 minutes for a single signature. She labours over it and I feel helpless seeing that. When my beautiful mother who had an elegant wardrobe and was known for her sense of style cannot recall when she last changed her clothes. When she who organised dinners for and cooked for scores of people forgets whether she has had breakfast an hour back or not. My sister, who lives abroad and comes every few months, shared that she fears that the next time she comes, ammi may not remember her name. 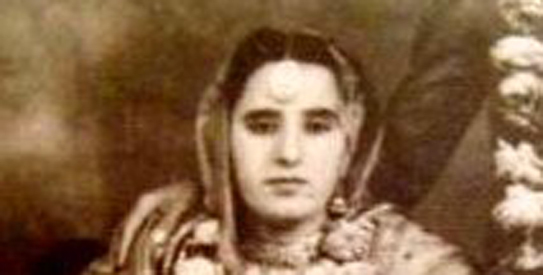 Ammi on her wedding day. Have they forgotten that one does not choose to have amnesia or dementia, just like one does not choose to have other illnesses like heart disease or cancer or a hemorrhage? Why is then the acceptability of other illnesses more than neurological or mental illness, may it be Alzheimer’s or schizophrenia or dementia or chronic depression? Perhaps because these illnesses alter behaviour. And alternate behaviour threatens us because we do not understand it. And when we do not understand something or find it different, we marginalise it. This is not just true for her. This is generally true for how we treat elderly people. We marginalise them instead of including them in everyday activities and get-togethers. Add to it dementia and people have even lesser understanding unless someone close to them has had it. They also do not know what the caretakers and the family are going through. Mother is the greatest blessing of nature. We need to accord them due respect. I feel like I just read someone's personal diary. Every body will die.Old age senilty has to come.Because of arterioathrosclerosis our brain gets less glucose and oxygen. Thus quality of life gets poor.As such one should try to prevent this by regular diet and exercise.This require hidayat from Allah Subanawatallah.May Allah make all of us a good muslim. I totally agree with you.they still miss the life once they lived may ALLAH bless ur mom i m just crying as my dadi amma faced the same trauma n the worst thing is people dont even consider these elderly deserves our focus as much as care . Very well written. From Canada, my only desire is that the haves the have-nots as much as they can. I wish your mother a peaceful and serene life! May Allah help us all and give us strength to help others who are less fortunate. Wow..... Excellent write up.....I wish we all could understand what does it mean getting older, while we are young and could take care of our elders as they deserve. 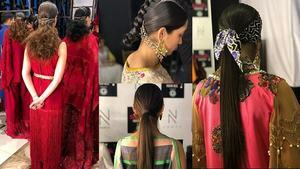 This is an excellent piece farah, something that all of us should be sensitive to! Beautifully written. The problems that elders face is something that no one can really understand. 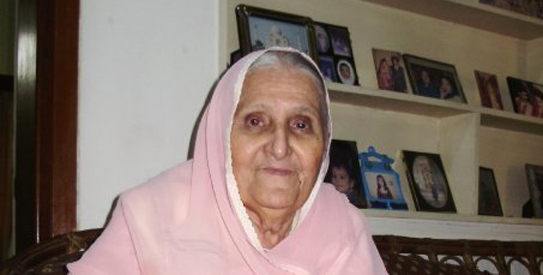 Your article reminded me of my dadi. May God bless her! Really outstanding! Am short of words to express my feeling for having a MoM. I have lost mine 3 years back still her memories are as bright today as yesterday. You made me cry Farah. Reaching that age, where this article makes complete sense. An all encompassing viewpoint, dealing with both sides of the coin, but especially the part that relates to the dire need in elderly to be treated as normal part of life, and to be sought after for equal participation, as much as possible for them. I painfull recollect my grandfather staring into space with an empty look,an expression of feeling forsaken and alienated, and that look would crush my heart .. similarily my mother-in-law now inquires into every little happening on a day to day basis, even though she is 80 and partially sick..i know it gets overwhelming sometimes to do that for her all the time..but then i keep my patience and try to make her feel normal and wanted all the time ..at times she calls me and tells me to just sit with her and not do anything else .. and if my laptop is gone for repair..she inquires about it..because she misses it too..for all the things i play for her on it and show her how much she can find in it .. and for all the music i play on it which she enjoys in the background .. even during my busy routine, i always have her little pleasures in mind .. and thats why she desires to have me around all the time.. because she expresses that i am the only one who knows her well enough and is patient with her...i have always been desired by elderly, and can fully empathize with them.. thanku for this touching article..a good lesson in making one realize.. age will come to all..so learn to be involved with concern for those who have aged already..its the Nature working on everyone..no one chooses to age or burden anyone!!! u had me in tears dear!!! a big hug to u and your ammi. :):)....from a very young age, i have this inclination towards old people. i love sitting with them and listening to their endless stories. all my duas n cares, may Allah bless u. Article is well written, touched important subject however things should be objective and succint. Not necessarily involve drafting the whole personal or family stories. superb. it seems someone or the other must have faced something like this. very well written Farah, My father is going through the same condition, everyone plz pray for him. one of the most beautiful and graceful lady I ever seen. Very well written. Being a practicing Geriatrician in states myself, I can relate to this article very well. Dementia is a very prevalent problem in our aging societies. I believe that it is more prevalent in our society because of uncontrolled hypertension ( vascular cause). I would strongly urge all of you who are taking care of elderly with dementia to read book " The 32 hour day". It has immense information on managing patients with this disease which is very helpful. I many cases controlling HTN and treating underlying depression is the only way forward. I put all my patients with early or late dementia on antidepressants regardless of their symptoms. In this case dementia accelerating after death of husband is typical. May Allah give courage to all kids to stand by their parents. Farahnaz you wrote beautifully and I found these words from Deccan even more beautiful. God bless these beautiful hearts. Farah baiti, you made me and my hubby sad. The story of my mother is the same. She even failed to recognize me in her last days. The presence of daughters like you makes the world a beautiful place to live. May Allah bless you and your family. my mum did a lot for 5 kids of her after my dad's death.She was very young but devoted her life for us.God bless my mum.my most precious treasure! Wow !! This reminds me of my mother. One has to learn to grow up gracefully. One day we are all going to be senile. The problem is how to handle this dementia stage, which is inevitible , if one has no kids and the family structure is modern : single couple unit. Where did i read this : " would it not have been easier if life could would be structured backwards ; from old age back to youth and infancy . Then one would have parents to look after us till zero time !!! " Just a thought. haN , bhai, can any one show me where i have misplaced the emergency pair of specs. ??? But----the idea of OLD AGE HOMES is depressing. Ms Moazzam, Well written but bit scary as I am heading towards it myself @69. My grand father had lost it completely, my mum @ 89 is loosing and get told so very often that I am getting old! Reason of writting this is not just your piece. I read Dawn every day, habit I picked up in Pakistan where I was doing a project several years ago. Every time there is write up about Pakistan India relationship, most readers from both sides become so angry with each other and yet on your piece there is 100% agreement! There is a deep lesson in this!! One should have healthy life style right from the age of 2 year/ One can not do angioplasty of every artry.Our primary care is not good.May Allah bless your beloved mother. wonderful !! very well written!!! May Allah bless ammi with health and a long life! Dear Farahnaz,Let's just say that a box of kleenex came very handy,as I read your beautiful,straight from the heart and deeply touching article. Wonder if there is any educational and or support group such as Alzheimer's association in the US,in Pakistan,if not,you may want to consider starting one. Sir, your comment is one of the best ones, and most rewarding for me. If Indians and Pakistanis agree on any one thing, I do believe that one thing is basic human emotions and kindness and goodness, and our values. Your compliment has been value-adding to me. Your fears I can understand......the future is yet to be seen, but till we have this gift of our memory and mind and our faculties, I believe we must enjoy & use them to the fullest, like you are. That is the positive lesson I have learnt from my mother. What a heart-touching column - for those who have hearts ! ....a heart wrenching article.I can totally relate to it as my abba,during the last five years of his life went through the same phase ur mom is going.May Allah help you,Faranaz and the rest of us as well, to deal with such situations when we meet them. Madam Farahnaz,daughters like u are worth worshipping.You have done great job in expressing ur innermost love for ur dearest ammi & also u have educated many of ur brothers and sisters of their boundan duties towards parents when they need most.May God bless u & ur ammi.